The Agency for Healthcare Research and Quality (AHRQ) will shut down its National Guideline Clearinghouse (NGC) website due to funding cuts. The clearinghouse stopped accepting submissions for guidelines on June 18, 2018 in anticipation of the closure. Publication of new and updated clinical practice guidelines will continue until July 2, 2018. However, after July 16, 2018, the NGC website will shut down and the content will no longer be available. https://www.guidelines.gov/. What does this mean for nursing? The AHRQ is a lead federal agency charged with improving the safety and quality of America’s health care system. The organizations mission is to produce evidence to make healthcare safer, higher quality, more accessible, equitable, and affordable. Who uses the NGC database? Why consider the details of something about to be extinct? Because the upcoming void will need to be filled. If evidenced based healthcare is to move forward, evidence must be centralized and accessible. The following three organizations are well respected developers and disseminators of clinical evidence. The Joanna Briggs Institute (JBI) is an international not-for-profit, research and development Centre at the University of Adelaide, South Australia. Access to their evidence- based resources and tools for developing evidence is being managed exclusively through Wolters Kluwer Health / Ovid and Lippincott Williams and Wilkins. The Cochrane Nursing Care Field (CNCF) is part of the Cochrane Collaboration, and managed exclusively by the JBI Network. CNCF reviews and publishes evidence-based summaries in plain language within the Cochrane Library. Spend some time reviewing the plethora of EB information in the Cochrane Library. The Virginia Henderson Global Nursing e-Repository is dedicated to sharing works created by nurses and is the only one its kind. It is an open-access digital academic and clinical scholarship service that collects and disseminates full-text nursing research and EPB materials. It is the resource for Sigma Theta Tau International, the honor society of nursing. Change can be daunting and uncertain, however, with the knowledge of well-respected resources, it need not be. There is a wealth of EB resources, tools, clinical recommendations, and much more available on the web. Probably more resources and information than we could effectively absorb in a lifetime. So, although the NGC is coming to an end – EB databases are alive, well and accessible. Recommendation to the reader: Spend some time getting familiar with JBI, CNCF, and the Virginia Henderson Library. Food for thought: What is your source for nursing evidence? 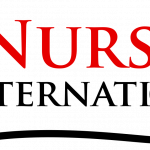 If you want to participate in advancing the profession of nursing in developing countries – click here for more information.